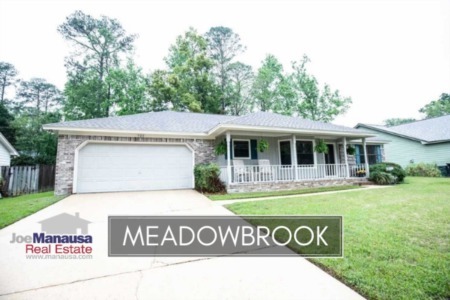 Located just inside the intersection of Mahan Drive and Capital Circle in Northeast Tallahassee, Meadowbrook offers convenience and value in homes for under $200,000. If you are looking for a lifestyle that proximity to Tom Brown Park, tons of shopping, schools and easy access to everywhere, this active neighborhood should be included when it comes time to shop for your next home. 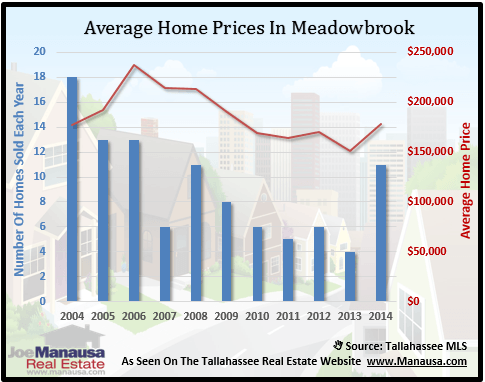 In this report, we will look at prices, values, and sizes of homes in Meadowbrook, as well as show current listings in the Tallahassee MLS and all closed home sales going back to 2002. For each of the housing graphs found below, you will find the number of closed home sales for each year (blue columns, measured on the left vertical axis), and an important real estate statistic shown in red (measured on the right vertical axis. It is important to note that sales are through December for all previous years, but through mid October in 2014. Home prices rebounded strongly this year, and have reached a five year high. The average recorded sales price is $177,900 for Meadowbrook thus far in 2014. More importantly, the year has gotten off to a fast start, showing a pace of home sales that very well could end up being the best of the past ten years. 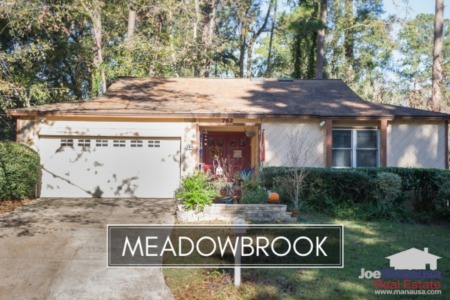 Currently, there have been 11 closed home sales in Meadowbrook. 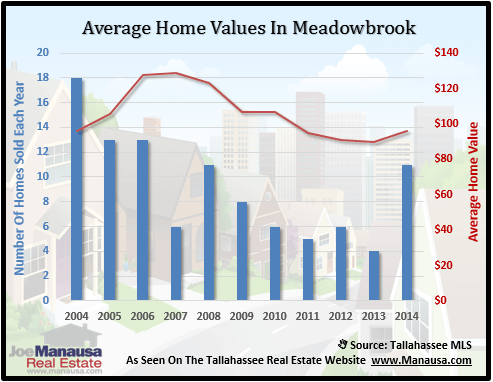 Average home values in Meadowbrook have risen as well, they currently are significantly higher than the 11 year low established last year. Through mid October, the average value of a home sold in Meadowbrook this year has been $96 per square foot. 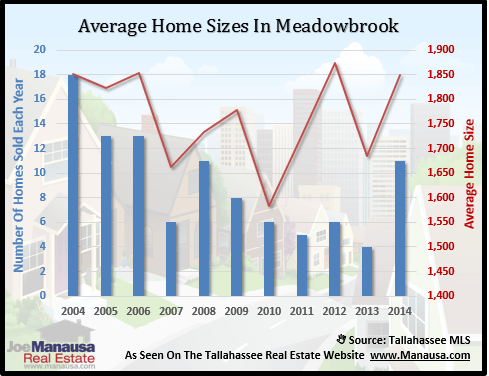 The average home size sold in Meadowbrook typically falls in a range of 1,600 to 1,900 square feet, and this year is no different. The 11 sales thus far in 2014 have averaged 1,850 square feet, meaning buyers are choosing the larger homes because of the value they are finding. The following list of homes are the most recent listings in Meadowbrook. The following list shows home sales going back to 2002 in Meadowbrook. I hope you enjoyed our October 2014 update on home sales in Meadowbrook, please feel free to drop me a note if you have questions not covered in this report.